Emily (Rooney Mara) knows that she should be happy now that her husband, Martin (Channing Tatum), has been released from prison. However, in reality, the opposite is true. 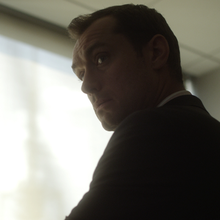 Psychiatrist, Dr Jonathan Banks (Jude Law), prescribes a course of drugs to help control her anxiety and depression. When a tragedy occurs, Dr Banks’ career is suddenly on the line. Love Movies? Join The Club! I was looking forward to Side Effects. Over the past few years, I have really enjoyed Steven Soderbergh's movies - particularly Magic Mike, Contagion and Haywire. I like the way that he tells stories and his films always look gorgeous. In addition, well, check out this film's cast list - Rooney Mara, Channing Tatum, Jude Law, Catherine Zeta-Jones - there’s a powerful reason to watch in itself. The start is promising. Mara is great as Emily and plays her with subtlety, mystery and intrigue. Channing Tatum's performance as Martin is also engaging. Meanwhile, the concept of depression occurring when everyone around you assumes that you “should” be happy is really interesting. So too is the character’s relationship with drugs and the side effects that, despite being pretty alarming, no one really expects to occur. doctors and drug companies. Just how much is the treatment that he prescribes compromised by the fact that he is being paid vast sums by a drug company? I was well on board for all of this and interested to see how the story would play out. However, the film then veers into altogether different territory. It becomes more of a twisty thriller. I felt that the second half of the film lost the character-driven momentum that it had built. It just careened from one frankly ridiculous twist to another. Everything that happened from that point felt derivative - I had seen it before and done better. A shame really as the first half of Side Effects was actually pretty good. 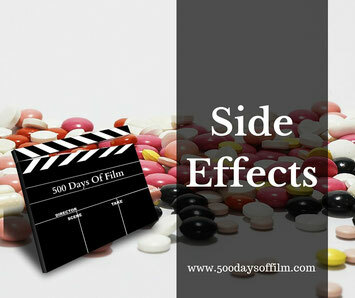 Have you seen Side Effects? Do you agree with my thoughts on this film? Whatever the case, do let me know in the comments section below!